We first came upon Altnaharrie completely by chance in 2002. For 25 years we had lived in Cornwall, but we had reached that stage in life where we yearned for the wild beauty of the Highlands having spent many a holiday taking in the majestic beauty and still unspoilt landscape. 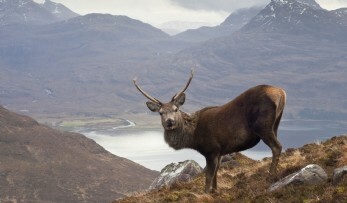 The Highlands are now one of the few places that can truly claim to be wilderness, where the stresses and strains of 21st Century life have failed to encroach. The Altnaharrie Inn was the only habitation in the bay, nestling on the south shore of Loch Broom opposite Ullapool. The first house had been built in the mid 1700s as a ferryman’s cottage in the days when the route was used by drovers taking their cattle from the North down to the markets in the South. In those days the cattle would swim across the loch with the men safely in a rowing boat. 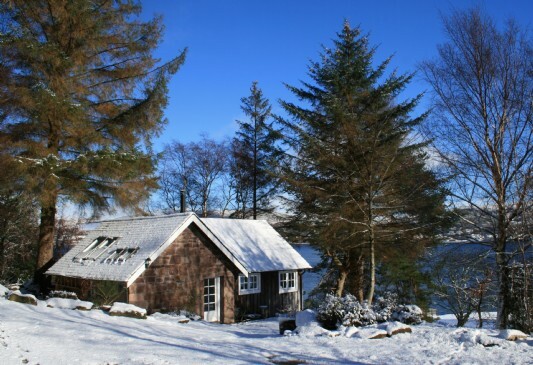 In the 80s the Inn was converted to an exclusive small hotel, and by the 90s Altnaharrie Inn had gained an international reputation as a ‘quirky hotel’ with the only Michelin two star restaurant on a mountain track Scotland. Reached by boat, seclusion amongst unparalleled beauty was an irresistible draw to many a celebrity seeking to avoid the intrusion of public life. By the time we found Altnaharrie, the previous owners had closed the Inn and we had no desire to reopen it. In the grounds of the Inn was a quaint cottage which had been used as an annex to the hotel providing two en-suite bedrooms for guests. The original solid stone built part of the cottage, with two foot thick walls, had been built in the mid 1700s as a ‘bothy’ which, in Scotland, is a small abode generally used to provide shelter for shepherds and sometimes, in particularly bad storms, their sheep as well! We completely gutted the building including the wood extension which had been built onto the bothy in the mid 80’s. 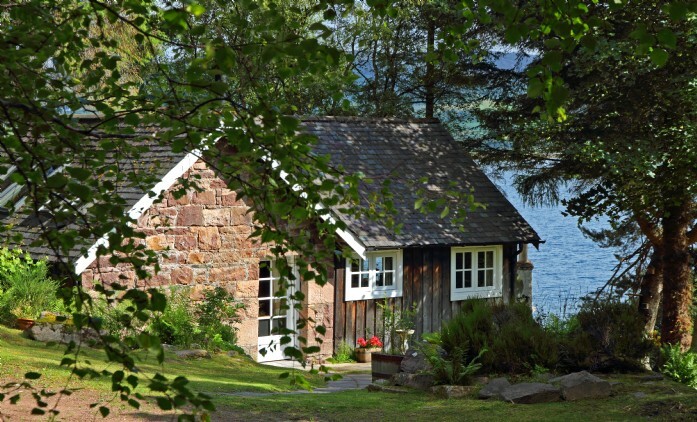 The combined building still retained all the character of an ancient stone-built house with the added feature of timber elements, combining to create a cosy cottage characteristic of Highland country life. Provision of energy is a huge issue for us, as Altnaharrie is not connected to the National Grid. We produce approximately 85% of our energy from renewables with a mixture of micro-hydro and solar photovoltaic panels. We did most of the conversion work ourselves over a number of years, and only employed professional tradesmen when it was absolutely necessary. When rebuilding the cottage we added a kitchen in one of the old bathrooms and converted one of the bedrooms into an open plan lounge-diner, with windows providing wonderful views to the mountains behind and the loch (sea loch), and beach in front. The other original bedroom was retained with its bathroom. New solid oak floors, wood burning stove and central heating, double glazing in the original sliding sash windows brought the building up to date without compromising any of the character. It is always difficult building around the old whilst being sympathetic to the need to include every modern convenience in the design. We seem to have achieved this, with the final cottage retaining the characteristics of a traditional Highland lodge, but not so drafty! 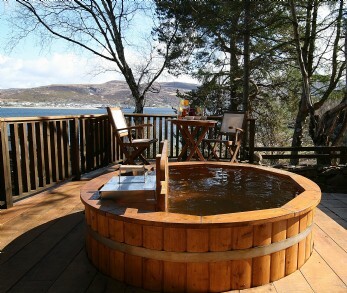 As an added touch of luxury we have included a solid oak four-poster bed and a sunken hot tub on the decking. As castaways we had built our shelter. In styling Castaway we have maintained the Highland lodge theme, with plenty of wooden beams and timber cladding. Accessories include items of antique climbing and hill walking memorabilia to complete the effect. The ambiance of a cosy evening spent with a glass of wine (or whisky), sitting by the wood burning stove, after a day’s exploring the hills and beaches of this extraordinarily beautiful and secluded place are something that all our visitors will take with them forever. have a dental practice in Wadebridge where son lives with family.